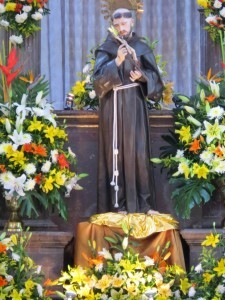 Saint Francis of Assisi is the patron saint of animals and the environment. 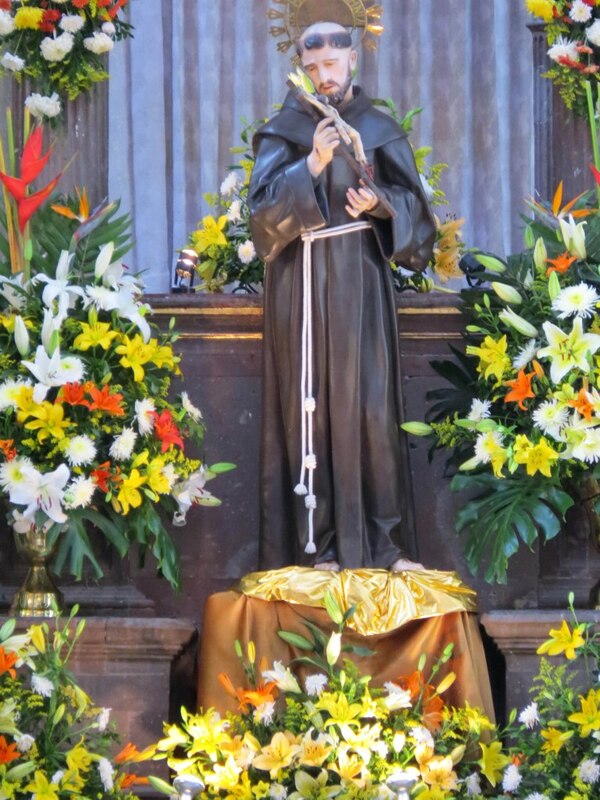 He founded the Franciscan order, the women’s Order of St. Clare and the Third Order of Saint Francis in the early 1200s. Francis is likely best remembered today for being the first person to have stigmata and for creating the first Christmas nativity scene which then incorporated people and live animals. 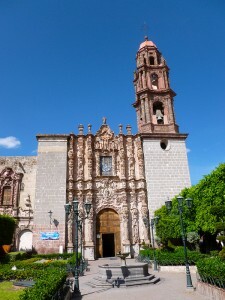 Having learned the native languages of Tarasca and Otomi, the Franciscans in 16th and 17th century San Miguel use of life nativities for the nine days leading up to Christmas had a profound impact on converting the surrounding indigenous communities . Senor Cura J. Manuel de Villegas wrote at the time how much the Spanish, Americans and indigenous enjoyed portraying the various parts in the story of Jesus’ birth. 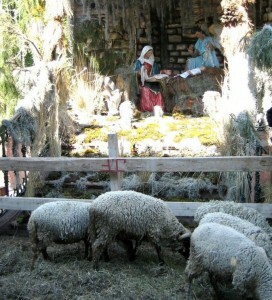 Live nativities were held in San Miguel’s campos, haciendas and pueblos where the Francisicans performed missionary work. In memory of these times, the jardin hosts a partial live nativity each year. Here in San Miguel the Temple of San Francis was formerly the church of Saint Anthony of Padua (statues of both men flank the altar). In the elaborate stonework of the facade are the images and symbols of the Franciscan Order. Inside the church you’ll find paintings depicting the death of St. Francis. Next door is the chapel of the Third Order of Saint Francis with the simple bell tower. Members of the third order (the first and second were friars and nuns, respectively) were laymen of Spanish descent who did not live in religious congregations but were buried in religious garb. Today the St. Francis church is very popular for weddings and on October 4th will host dancing and music to celebrate St. Francis.